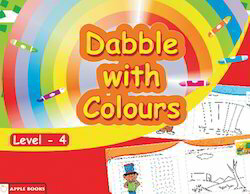 Our product range includes a wide range of dabbles with colors level 1 books, dabbles with colors level 2 books, dabbles with colors level 3 book, dabbles with colors level 4 and dabbles with colors level 5. 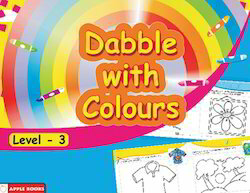 Dabbles With Colors Level 1 offered comprises beautifully designed coloring books that are available in 24 page softbound finish options. Encouraging creativity among minds of young children, the book comes with options of interesting shapes to color like animals, insects, reptiles, alphabet letters and others. The coloring pages are designed to introduce and enhance the basic coloring and shape recognition skills among children. 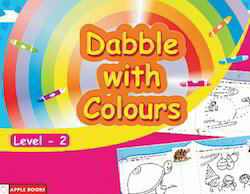 Dabbles With Colors Level 2 book offeredcomprises 24 page coloring book that comes in softbound finish and features use of child friendly illustrations which make these fun to work with. Being suitable for preschool and kindergarten children, these coloring books help kids develop eye-hand coordination and color concepts. Further, the fun coloring opportunity also allows children to learn about the world surrounding them while helping them develop their motor skills. 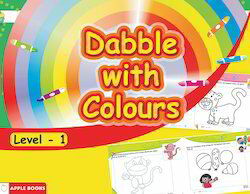 Dabbles With Colors Level 3 books offeredcomprise 24 page coloring softbound books that feature a variety of color concepts and is best suited for use as a fun time activity. The interactive book layout also teaches children how to draw basic shapes and fill them with color. Being suitable for personal, school teaching needs, the book pages offer a unique coloring opportunity to children as well as help students recognize colors and their use. Further, the books also help in increasing eye hand coordination among children. the extensive knowledge and experience in this respective domain we are engaged in offering high quality Dabbles With Colors Level 4. 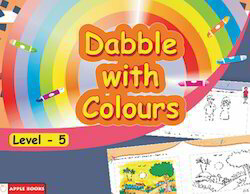 These Dabbles With Colors Books are designed using superior quality of paper & printing ink in accordance with the quality standards. Our offered Dabbles with Colors books are thoroughly checked by knowledgeable professionals in order to ensure their correct concept and correct content. We offer these Dabbles With Colors Books in numerous customized options at reasonable price. Looking for Dabble with Colours ?